The continent is rebounding from the global recession, but strengthening its legal systems can ensure that this land rich in natural resources will emerge stronger than ever. Next month will see the launch of the Africa Justice Foundation, a new charity to support legal capacity building in African governments. Co-founder Cherie Blair and Jonathan Kewley explain its significance. These are exciting times for Africa. Democracy, despite some all-too-familiar exceptions, is on the march. In the past 12 months, nearly a quarter of sub-Saharan countries have gone to the polls. A new generation of progressive leaders is running their countries effectively and fairly in the interests of all their citizens. The continent is recovering strongly from the impact of the global recession. Africa’s abundant natural resources, rapidly diversifying economies, and potential market of over more than 1 billion people promise a period of immense growth and opportunity. But there are, of course, major challenges still to overcome. And the chronic under-development of the justice system in many countries remains a major brake on Africa’s hopes of realizing its ambitions. Indeed, while the Ibrahim Index measuring African countries’ development against governance and economic goals charted significant progress in many areas, it has found little movement when it comes to strengthening the rule of law. This is deeply worrying. For without confidence in the law, trust breaks down, corruption goes unchallenged, inward investment dries up, and human development suffers. Despite its importance, it is an area that, up to now, has often received too little attention and support. It is an oversight that we hope the Africa Justice Foundation, which will formally launch February 1, can help correct by helping prepare young lawyers across the continent for the crucial responsibility they have. And it is a heavy responsibility. Lawyers in Africa working within government have to draft their countries’ laws, work with business to create the conditions where they can operate successfully, and ensure that social justice and human rights are enshrined in legislation. They are, in many ways, mapping out the future of their countries. Africa’s abundant natural resources, rapidly diversifying economies, and potential market of more than 1 billion people promise a period of immense growth and opportunity. But all too often these small teams have little support or training for the tasks that face them. Rwanda, our launch country, is a case in point. The genocide in 1994 saw the massacre of 800,000 people in just 100 days. Many were from the professional classes. It left the country with just a handful of lawyers responsible for implementing a new constitution and re-instating the rule of law. Over the past 15 years, stability has returned, with strong and consistent economic reform resulting in rising GDP and renewed interest from foreign investors. But for the next stage in its development Rwanda needs to scale up its legal capacity. That’s why, through the support of London law firms such as Freshfields and SNR Denton, and other businesses interested in Africa, we are funding master's training in commercial law and legislative drafting for Rwanda’s lawyers at some of the U.K.’s leading universities, including UCL, Queen Mary, and Liverpool. Over the next year, the aim is to roll out this program to other East African countries. In parallel with the government capacity-building project, we have also set up in-country advocacy programs and legal mentoring schemes that will help to build skills and confidence in lawyers, regardless of gender. It may come as a surprise to some that women in Rwanda outnumber men in the ministry of justice and in its parliament. Strong laws and support for lawyers in Africa will not only drive prosperity but will also help to break down the gender divide, which is critical to the continent’s progress. And over the coming year, we have plans to expand and extend our work into new areas and countries. They range from a program to develop case reporting systems in countries where nothing is recorded, to working with the Open University to develop Internet-based legal training. What impact do we hope all this will have? Better-prepared and supported lawyers can help translate the big ideas of government into transparent, effective, and robust legislation that stands the test of time. If you’re a business wanting to invest in an African country, you’ll have more confidence knowing that the government legal team is familiar with applying commercial legal principles. Training will feed into legislation that protects inward investment, ensuring stable business relationships and sustainable in-country instrastructure development. And if the concept all seems a bit abstract, consider this small example. In Rwanda in 2005, registering property took 371 days and the transfer fee amounted to 9.8 percent of property value. Today, through legal reform and streamlined administrative process, registration takes two months and costs 0.4 percent of value. Changes to law, overseen and implemented by government lawyers, directly impact on prosperity and fuel a nation’s economic progress. This is not about imposing ideas or a single judicial system and mechanisms on a continent made up of 53 nations, each with their own rich, diverse cultures and traditions. But it is about recognizing the crucial importance of the rule of law for these countries, and their citizens, to achieve their ambitions. Without good laws fairly enforced, these hopes will not be realized. The rule of law is critical for economic and social development. By working in partnership with lawyers across the continent, the Africa Justice Foundation hopes to play its part in helping them fulfill their role in building a stable and prosperous Africa. 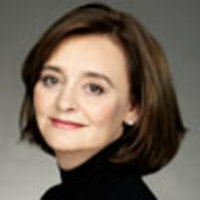 Cherie Blair is a leading international barrister specializing in human-rights law. She is married to Tony Blair, the former British prime minister, and lives with her family in London.